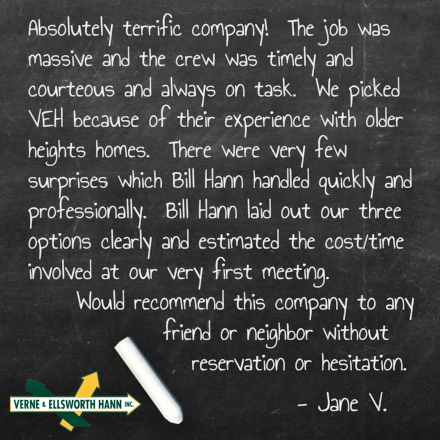 Here at Verne & Ellsworth Hann, we greatly appreciate when our customers take the time to praise our staff and our craftsmanship. Our goal is to give you the best experience possible. We strive to make repairing, maintaining and installing heating and cooling as stress free as possible. From start to finish, Verne & Ellsworth Hann wants you to leave all your furnace, boiler, air conditioning and plumbing needs to us, the experts. Know you’re in good hands when you have Verne & Ellsworth Hann’s skilled technicians and plumbers working for you. We take pride in our work and in treating your home as if it were our own and that truly sets us apart from our competition. HVAC and plumbing are not something we typically want to deal with or invest in, but these things are a necessity for homeowners. Replacing or repairing heating, cooling or plumbing in your home can be costly. It can add to the frustration when you don’t know what company to choose or trust. Verne & Ellsworth Hann, located in Cleveland Heights, has been servicing Northeast Ohio for over 63 years. Owned and operated by brothers Bill and Chris Hann, Verne & Ellsworth Hann is the ONLY Hann family owned HVAC & plumbing company in Cleveland. 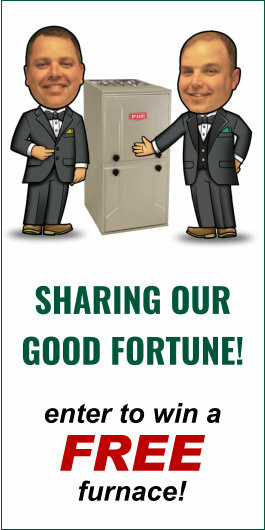 With 5 generations of Hann family experience, call Verne & Ellsworth Hann today at 216-932-9755. And visit our website, VEHbrothers.com to read our numerous testimonials and to learn more about us!